The pilates exercise the “clam” is a hugely popular exercise. It is used in pilates and fitness classes, on gym floors, and for rehabilitation. Yes, I use it all the time too both for work and my personal practise. But is using the clam always the answer? There are situations where it is not appropriate and it must be used correctly as an informed exercise choice. Here we explain why clams don’t always work. This exercise is performed in side lying as per the picture below, with the hips and knees flexed and feet together. The feet remain together, and the movement occurs at the hip joint with the cue to open the top knee up towards the ceiling and then slowly lower it back down again. The movement targets the gluteal muscles (buttocks), primarily gluteus medius (the middle one). This muscle is responsible for stabilising your pelvis and maintaining balance through the pelvis with any activity including walking, running, jumping etc. This muscle also provides support to the knee and lower leg. It is often prescribed in rehabilitation for strengthening these gluteal muscles for conditions such as hip pathologies, low back pain, and knee injuries. Why would clams not always work? There are a few situations where we would NOT want to perform clam exercises and these can often be overlooked. If you have any of these conditions or scenarios tell your pilates teacher so that they can offer you an alternative! Part 1:The clam generally focuses on working the gluteus medius (the middle gluteal!). This muscle has a small insertion in to the bone, therefore giving it reduced mechanical efficiency. This means it has to work harder to complete the exercise properly. The body will always choose the easiest route to perform an action with the path of least resistance. So if your technique is poor, or your gluteus medius is weak, it will avoid functioning and use other muscles instead. Usually the hip flexors and quadriceps are used instead and they can become overactive and tight. Part 2: Setting up the exercise correctly is crucial to ensuring good technique and correct muscle activation. The hips should be flexed up slightly to approximately 45 degrees and the knees bent to approximately 90 degrees. This targets the correct parts of the gluteal muscles (posterior aspects). If you flex the hips too much (usually noted as beyond 45-60 degrees) the clam exercise is ineffective at targeting these gluteal muscles. Try this short video here to perfect your technique for beginner level clam exercises. Try this one here to perfect your technique for advanced clam exercises. 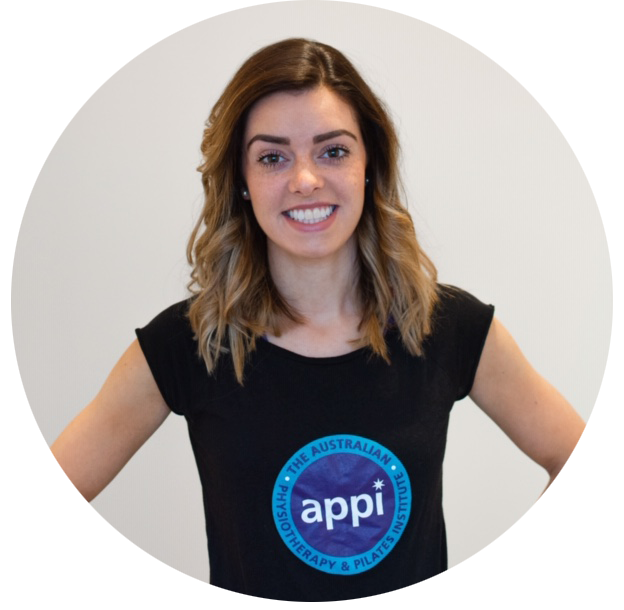 2) Overactive deep hip rotators: If you’re gluteal muscles are not working as they should i.e not kicking in, have a delay in activating, or are less efficient, then the deep hip rotator muscles (these lie underneath the gluteals) may be overworking. If this occurs you will NOT be exercising the correct muscles and may cause further overactivity and tightness. To check if you are overactive in your deep hip rotators try this quick exercise. Isolate your pelvic floor muscles by contracting the muscles from your back passage to your front passage and lifting upwards gently. If you cannot do this without squeezing your bottom muscles at the same time then you are using your deep hip rotators. 3) Piriformis syndrome: This is where the piriformis muscle (one of the muscles in your buttock region) is overly tight and causes irritation to the sciatic nerve. The sciatic nerve passes underneath the piriformis muscle in the majority of people. A muscle spasm here applies a compressive force on the nerve and can produce acute, sharp, nerve pain in both the buttock region and back of your leg. This is especially worse when bending forwards, taking a big stride, or stretching the hip/leg. In approximately 10% of the population the sciatic nerve runs through the piriformis so muscle spasm can induce nerve compression and restrict function. 4) Tight ITB/TFL: The iliotibial band (runs down the outside of your leg from your hip to your knee) can become tight with various activities. Usually activities that involve repetition of running, walking, squatting etc in the same direction of movement. This tightness causes tension within the ITB. This then causes a compressive load on the gluteal muscles (gluteus medius and minimus). Exercising the gluteals with the clam would add further loading and irritate this condition. 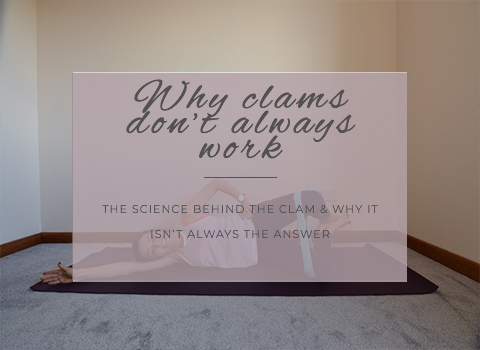 5) Non-weight bearing: Clams isolate the gluteal muscles in an unloaded position therefore allowing you to focus on technique and correct muscle activation. This position is NOT functional though and for proper rehabilitation the actions must be replicated in a weight bearing position. These may include exercises such as with a standing clam exercise (ye, as simple as that! ), monster walks, or sliders. Starting in the non-weight bearing position gets the correct muscle activation whilst ensuring core activation too. This can ensure better gluteal muscle recruitment once in the weight bearing position. This position also provides further challenges such as balance, weight, gravity, and stability. Clams are an excellent exercise choice when chosen correctly for the right reasons. If you experience any of the above please speak with your pilates teacher for modifications. Always stretch your buttock muscles after doing clam exercises to keep them flexible and minimise discomfort.